Several Amtrak routes run through Missouri, and accommodations for bicycles vary from route to route. Folding bicycles can be brought on most trains as carry-on luggage. The state-supported River Runner makes two trips a day between St. Louis and Kansas City, with several stops along the way. Bicycles can be rolled on the train un-boxed and fully assembled for a $10 fee. There is room for four bikes per train, and you must reserve a bicycle space in advance with your train ticket. Bikes can be loaded and unloaded at any station on the route. 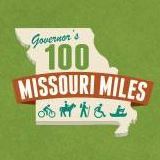 The Missouri Bicycle Federation worked with Amtrak and MoDOT to institute this policy in 1997. The Missouri River Runner makes several excellent connections with the Katy Trail and with the planned Rock Island Trail. This creates several interesting rail/trail bicycle touring options available for individuals and for groups. Note that tandems, trailers, and long recumbent bicycles may be difficult or impossible to take on the River Runner, due simply to the geometry of the trains that requires carrying bicycles up a few steps, around a tight corner, and then storing the bicycle in available luggage storage locations. Please check with Amtrak before trying to take any of these on a trip. Bicycles can be rolled on-board un-boxed and fully assembled for a $10 fee. You may be asked to loosen your handlebars and turn them sideways, so bring a multi-tool. Space is limited and advance reservations are required. This long distance train allows boxed bicycles as checked baggage. Bikes can only be loaded or unloaded at stations that offer checked baggage service. This includes Kansas City Union Station, but not La Plata. This long distance train allows boxed bicycles as checked baggage. Bikes can only be loaded or unloaded at stations that offer checked baggage service. This includes St. Louis Gateway Station, but not Popular Bluff. True folding bikes are allowed on most trains and are counted as part of your carry-on luggage allowance. Make sure to secure your bike with ties or bungee cords so it stays folded. Consider a long cable lock to keep your bike safe in the luggage rack. MoDOT has beenworking with a coalition of states ordering new Amtrak rail cars. Because of the Katy Trail connection, Missouri's Amtrak routes have higher bicycle use than many around the country. For that reason, MoDOT, supported by Amtrak staff who work the trains, have been working to increase capacity and ease of use for bicycle roll-ons in the new rail cars. We understand from talking with MoDOT staff that the new Amtrak rail cars will allow as many as 12 roll-on bicycles per car, which will be a major improvement over the four bicycles per trail allowed by the Missouri River Runner currently. In addition, design of the new cars will allow bicycles to be rolled on far more easily over a relatively flat surface--a big improvement over the current situation, which requires bicycles to be carried up a narrow, steep stairwell and then around a tight, difficult corner. In addition, new Amtrak rail cars will feature custom-designed racks that will securely and safely secure the bicycles, both in normal travel and in case of a collision or sudden stop. MoBikeFed is working in concert with local, state, and national organizations across the country to to increase the availability, ease, and appeal of bicycle/train travel. As of 2014, improved Amtrak rail cars that will feature increased capacity and far greater ease of use are on order for the Missouri River Runner route. The roll-on bicycle policy adopted by Amtrak at MoBikeFed's urging in 1997 has been a key national model in the nationwide work to improve bicycle access on Amtrak. Read our coverage of Amtrak-related news here. Your generous support of MoBikeFed helps us make our Vision for better bicycle access on Amtrak a reality.